Hyperloop One, which is developing technology for a futuristic transit system, said it had raised an additional $50 million as it prepares for a full-scale test of a Hyperloop system in the first quarter of 2017. The concept originated in a paper by Tesla Motors Chief Executive Elon Musk in 2013, who envisioned it whisking passengers from Los Angeles to San Francisco in 30 minutes. Hyperloop One got its latest round of funding from DP World Group of Dubai. The $50 million takes its total funding to $160 million. DP World Group, whose chief executive is also joining Hyperloop One's board, signed an agreement with the company in August to explore a Hyperloop system to move containers from ships docked at its flagship Port of Jebel Ali to a new inland container depot in Dubai. Los Angeles-based Hyperloop One has previously got funding from the likes of 137 Ventures, Khosla Ventures, the French National Rail Company and GE Ventures. Former Uber Chief Financial Officer Brent Callinicos was also appointed as a full-time adviser to Hyperloop One Chief Executive Rob Lloyd and the board. Musk has encouraged third-party firms to develop the technology. These firms include Hyperloop One and Hyperloop Transportation Technologies (HTT). If the plans go ahead, and the technology proves successful, people could travel the 67 miles from Dubai to Fujairah in 10 minutes. This currently takes just over 2 and a half hours to drive. Hyperloop, the radical technology which transports passengers at close to the speed of sound, could be heading for the UK. The UK government has shown its interest in concept, which could link cities in the north of England and cut the journey time to London to a matter of minutes. Both of the firms competing to build the futuristic transportation network – Hyperloop One – have reportedly held conversations with the government and private firms regarding bringing the concept to the UK. Details of the discussions emerged as part of an extensive report from Wired, in which firms and the government’s own Innovate UK showed interest in the technology. 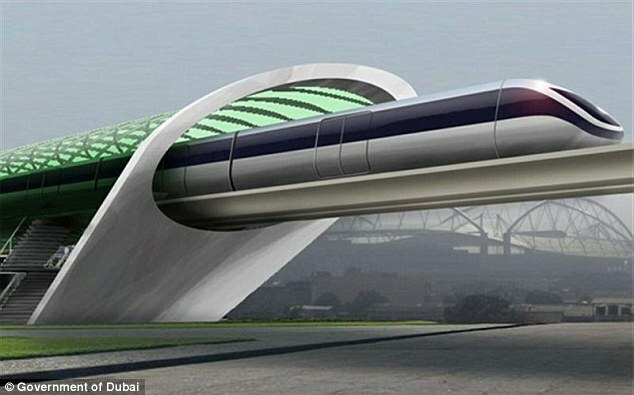 The brainchild of billionaire and head of Tesla and SpaceX, Elon Musk, Hyperloop will use magnetic train-like pods to shuttle passengers and freight around a network of tubes at close to the speed of sound. While the technology is still largely at the concept stage, early tests have been carried out on the propulsion technology, which could ultimately transport passengers at 760 miles per hour (1,220 kph). 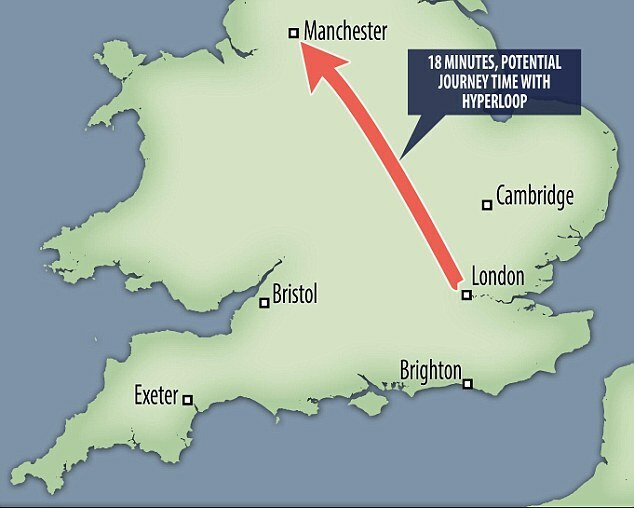 According to Wired, talks with UK firms centred on the potential for a Hyperloop system linking Manchester to Liverpool, which would overcome existing transport issues linking the two cities, creating a true ‘northern powerhouse’.